Dear TNPSC VAO Exam 2014 aspirants, an important alert for you. TNPSC has published facility to check your application status online. 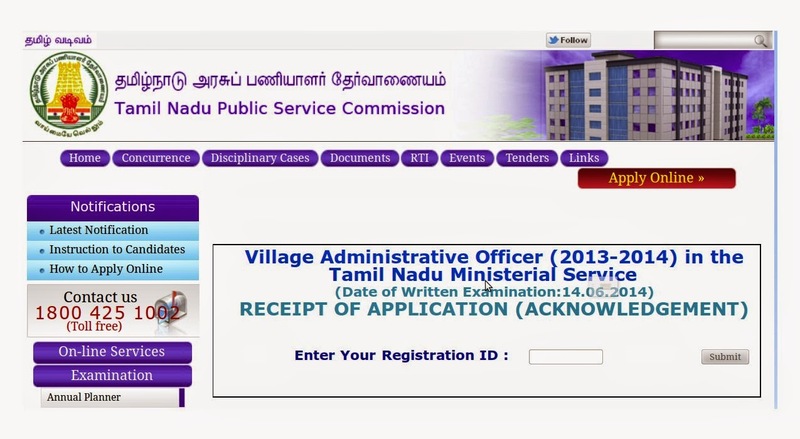 You can check your TNPSC VAO 2014 Exam Application Status in the following direct link. The TNPSC VAO Hall Ticket 2014 for 2014 exam also expected to be published with in a week. All the best !